Kalsubai is a mountain range located in Maharashtra and is the highest peak of the state. The summit of the mountain range is about 5400 feet high. This tourism place of the state is popularly known as the Everest of Maharashtra. This mountain range mostly attracts the trekkers determined to reach the summit. There are well maintained trekking routes that facilitate the climbers to attempt the summit bid. There are two routes via which the trekkers can climb up the mountain range and the both have been made convenient and safe by the government. Apart from trekking this destination also attracts many devotees to the Kalsubai Temple. The shrine is located at the top of the mountain and is dedicated to the local deity of the place. During the festival of Navratri, a fair is organized here and many people come to take part in this occasion. 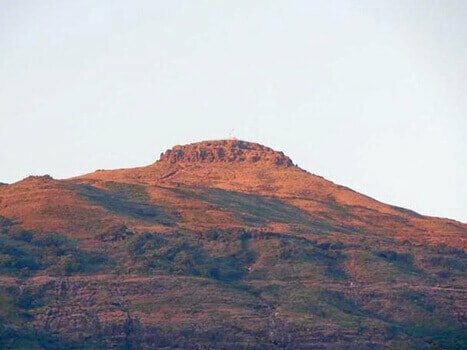 This religious site is also one of the important sightseeing places of Kalsubai. Another tourist attraction of the place is the Arthur Lake which has a beautiful surrounding of thick forests making the site picturesque. The Bhandardara Dam is also a must visit on your tour here. You will also see many forts here like the Harihargad, Anjaneri, Kulang, and Anudha Kanvai. This travel destination has a smooth network of transportation and can be reached via airways, railways and roadways. The tourists can take a flight either to the Mumbai Airport or to the Pune Airport and then travel to Kalsubai. You can travel by rail to the Kasara Railway Station and then take a taxi to the Bari village. The trekkers generally prefer to travel by this route and reach the Kalsubai summit. You can plan your holidays to this location during the months of June to December when the climate is ideal for both trekking as well as vacationing. One can see here a vast sanctuary that has been maintained in huge forests of Kalsubai. Different varieties of flowers are seen blooming here which attracts bees, butterflies and other insects. You will also spot snakes and lizards during the winter times. The tourist interested in wildlife photography can capture some amazing images of these creatures seen here. Kalsubai is one such travel places in Maharashtra where you feel peace of mind and soul amidst the beauty of nature.